This disc necklace from John Hardy's Palu collection reflects light in the most captivating fashion. Small sterling silver discs are gently hand hammered to create a rippled surface, and the discs are joined side by side to lay flat along your neckline. 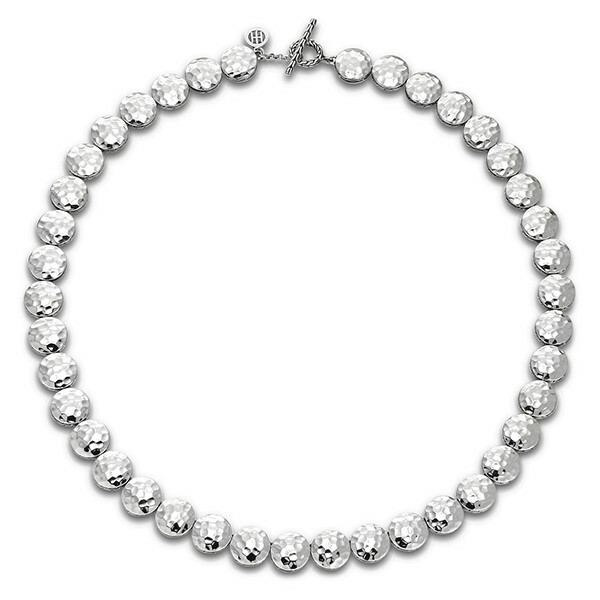 A toggle clasp will keep this lovely piece in place comfortably. Pair this stunning John Hardy necklace with that little black dress to create an air of mystery and beauty.